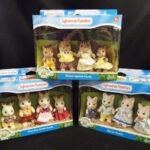 #18 NEW PRODUCT TO US – SYLVANIAN FAMILIES NOW AVAILABLE! 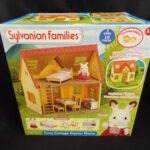 Sylvanian Families Everyone can be a part of the family, and learn about relationships including kindness and love of others. Each familiy includes mother, father, girl and boy. Chocolate rabbit family have pretty brown ears and the Walnut Squirrel family have furry tails.